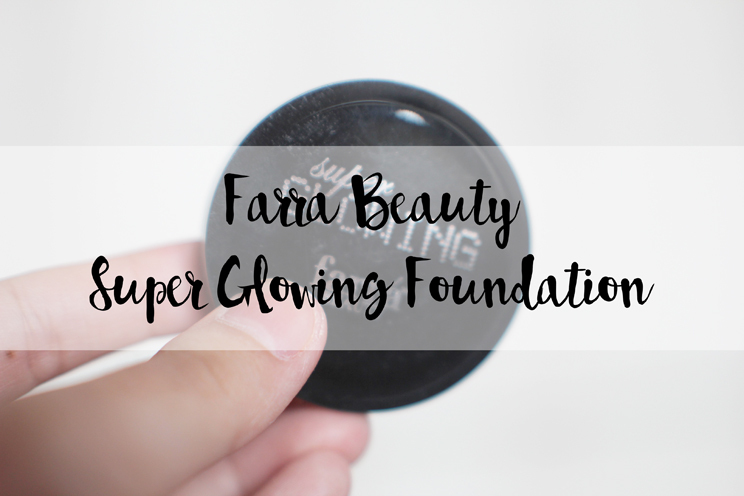 Today, I am going to do a review of a cream foundation from Farra Beauty, a local beauty company. It was my mom actually who wanted this foundation so bad after seeing all the reviews on Instagram. Typical moms. She wouldn’t stop talking about it until she got it in her hands. 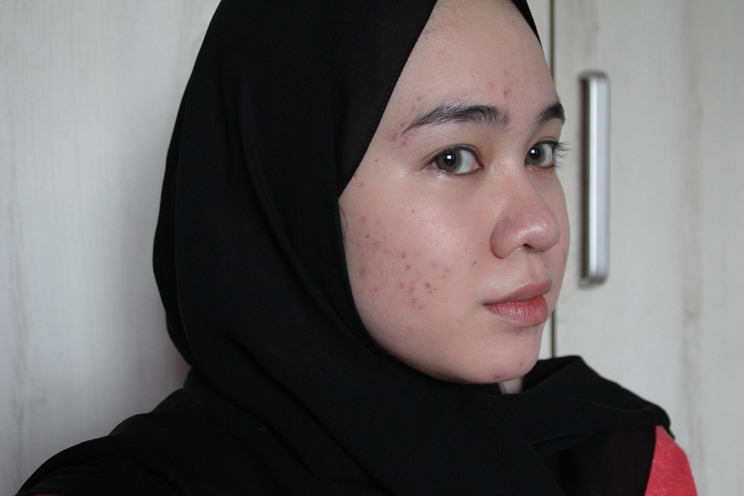 I got this foundation from @farrabeauty on Instagram for RM40. I believe the usual price was RM56 something, I’m not so sure. They’re having a promotion right now so if you’re interested, head on to their Instashop. This foundation comes in 3 shades, 1. Pinky, which is what I have, 2. Natural, my mom’s shade, and 3. Sawo Matang. But it was partly my fault because I used a lot of the product the first time I used it on my face because I wanted to see if it could cover my hyperpigmentation on my cheeks. It did cover up really well but not 100% that you can’t see it at all. The downside is, your face will look really pink! So use only a generous amount of product, do not cake it on your face. 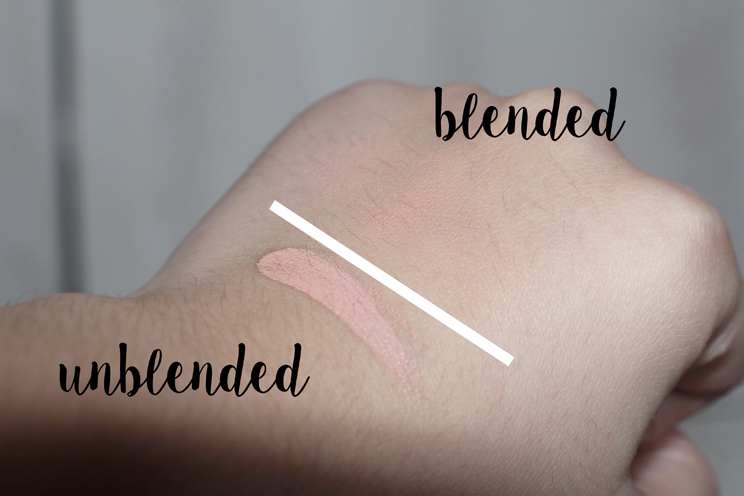 As you can see, the foundation unblended is a pinky beige colour but more pinky in my opinion. Between the shade Pinky and Natural, I honestly do not see that much of a difference aside from Pinky being.. pink. It all depends on your under tone. If you are cool tone like me (pink underneath), go for Pinky but if you’re more to the warmer side, go for Natural. Click here to determine your skin tone. The consistency is more liquid-y than I have expected. 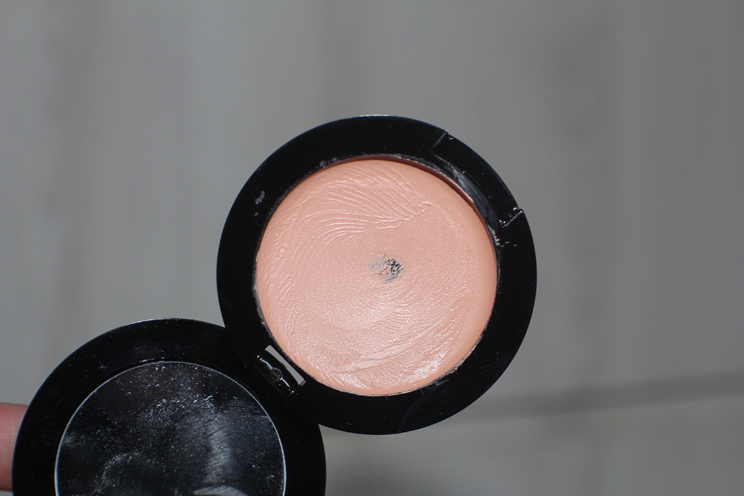 Before I swatched it for the first time, I thought it would be really creamy and thick but it is actually not! When I touched it, it felt like a liquid in a cream form. Maybe the heat from my finger warmed up the product a bit. I really like that it feels like a liquid because the application is da bomb dot com. As you can see, I have a lot of acne hyperpigmentation on both of my cheeks and chin. I actually got rid of my previous hyperpigmentation problem a year and a half ago but then I went and ate a lot of seafood with my mom’s family and who could resist seafood anyway and I brokeout like crazy and it’s been a year since it happened and I still have hyperpigmentation from the breakout. 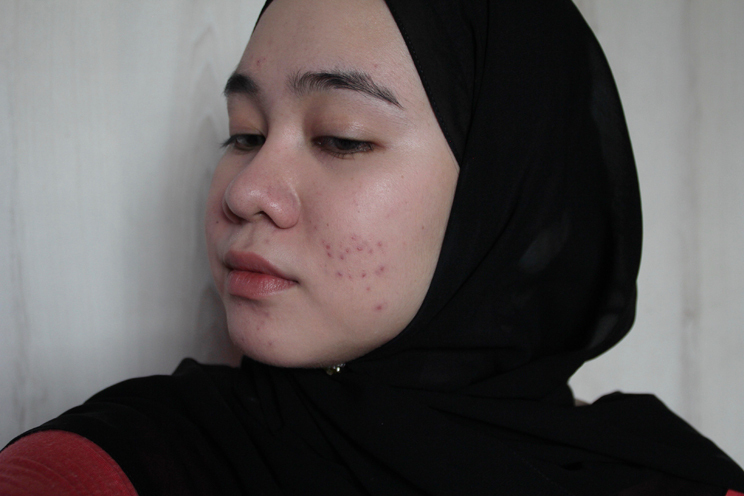 I swear they are really hard to get rid of especially a fair skin like mine. I’m going to try a homemade remedy to help with this issue. Will recommend it to you if it worked for me. 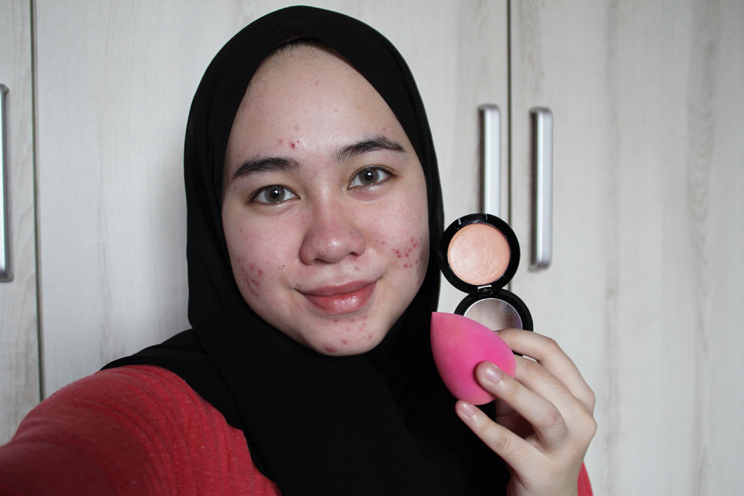 Don’t freak out, I’m not using a beautyblender, I haven’t found it in me to spend RM90 on a sponge. Maybe one day but certainly not now. 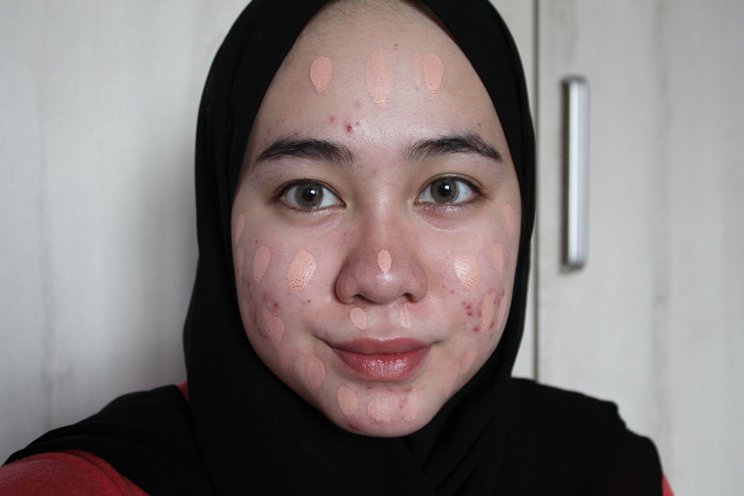 I’m just using an RM5 sponge dupe for beautyblender. It does not expand when run through water but that’s okay. I like it better than the other sponge I have that does expand. I spread the product all over my face as per picture. If you do put it on your eyelids, make sure to set it with powder because they might crease and you will be left with a thick line across your eyelids. Yikes! Not cute. Actually, any cream or liquid products you put on your eyelids must be set with powder, including eyeshadow primer which you should put on top an eyeshadow base/transition colour before doing your eye makeup. And tadaaaa! This is the final result. You can still see the hyperpigmentation on my cheeks but that’s fine, I can put a bit more product on the area and blend. However, since I used a DSLR to take the picture, it looked like the hyperpigmentation is quite visible as if the product didn’t cover anything but in real life, it looked pretty covered and not as ‘vibrant’ as it looked in the picture. Gotta put on some concealer under the eyes because your home girl is finally having dark circle after 21 years of living. Eeeek. This is the final look. I love how natural it looks on me. I know when you see the testimonial online they look super flawless and shiny as if they’re using a 360 application. Let’s be real, your phone camera can’t be trusted. They don’t pick up details like DSLR does. 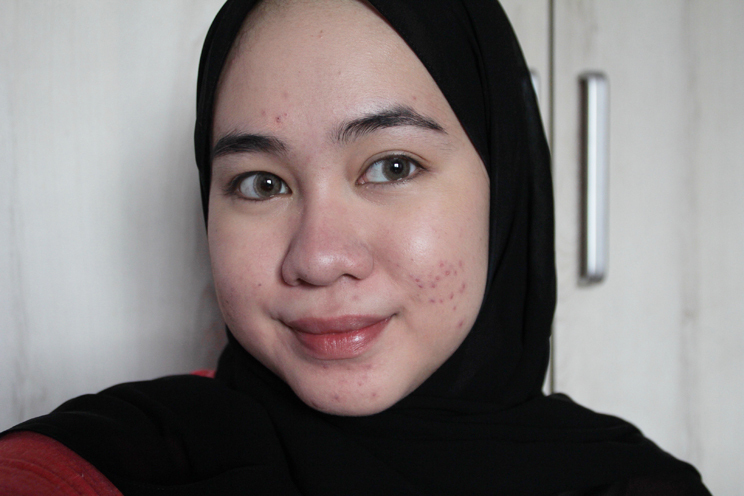 Unless your skin is like bontot baby, there’s no way you get that flawless kulit telur skin. I have oily/combination skin and this works well on my skin. 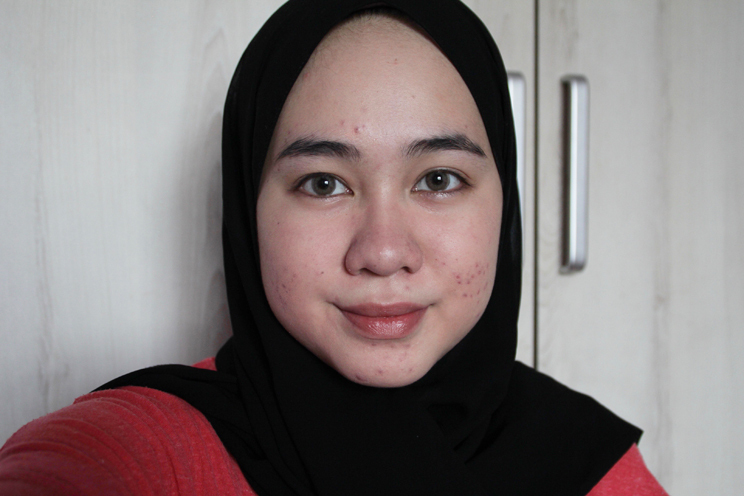 I hardly got oily at the end of the day, just a bit around my T-zone, nothing that a blotting paper can’t fix. It becomes more glowing after some time. Probably because it oxidises. Easy to apply. I like using sponge and brush better than fingers. Skincare + makeup in one. 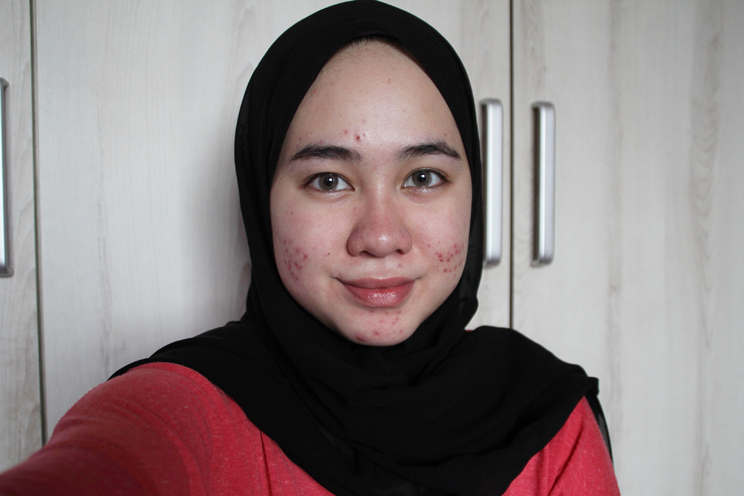 Some claimed that their acne scars and jeragat got better after a week of use. I don’t wear makeup everyday so I can’t back up this claim. Long-lasting. It did not budge at all and it was a very hot weather when I tested it out! It has spf35 so you can go out and be under the sun all you want. Suits all type of skin. To me this is really important because my skin is really sensitive and oily. IT CLINGS ONTO YOUR DRY SKIN, leaving you with dry patches. Best to scrub and moisturize your skin before makeup. Have to order online to get it. 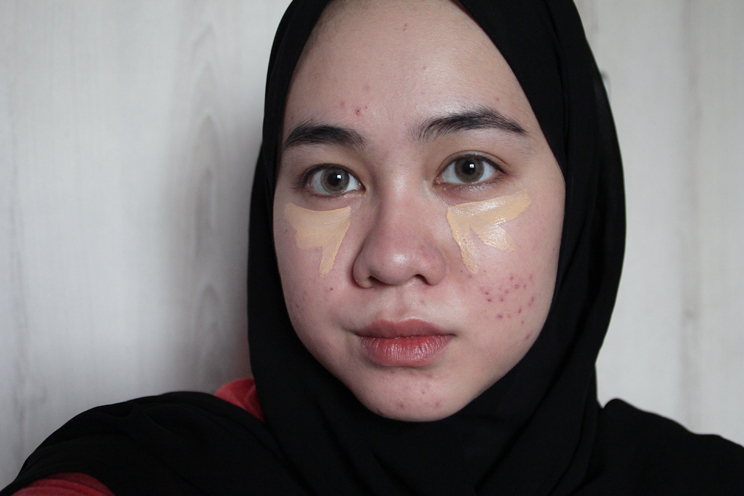 I just wish a bit more coverage from this foundation without having to add more product to problematic area. Needs more shades for people with darker skin tone. I really like this product and I definitely will buy more for backups. 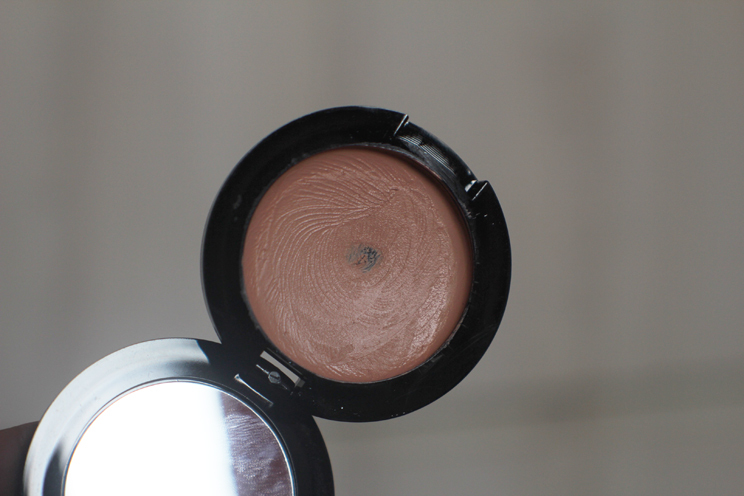 It’s hard to find an affordable foundation for oily skin and this one does it for me. It has a nice coverage, easy to blend, easy to apply, and it feels so smooth on my skin. 4 stars for this product!